The first 75-metre blade for the East Anglia ONE offshore wind farm has been produced at Siemens Gamesa’s facility at Green Port Hull, ScottishPower Renewables said. 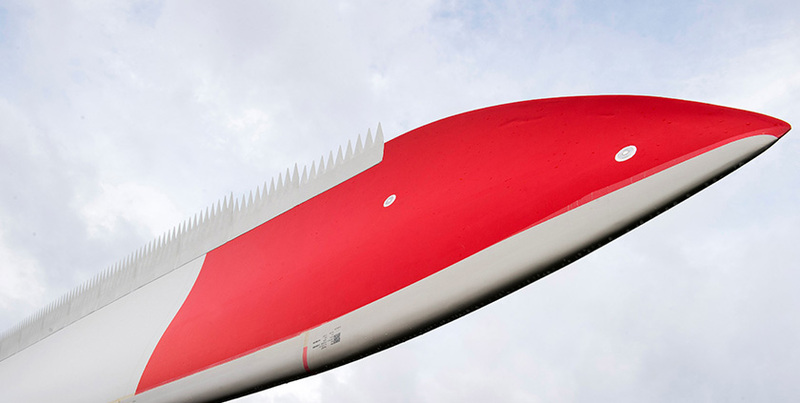 The fibre glass blade is the first of 306 which will be manufactured at the site for the 714MW East Anglia ONE project located 43km off the Suffolk coast. Inspection of the blade and sign-off by the East Anglia ONE project team was completed on 7 February. The GBP 2.5 billion East Anglia ONE project will see 102 Siemens Gamesa turbines deployed, each with a capacity of 7MW. The wind farm is scheduled to come online in 2020. “The manufacture of the first blade from Hull is a fantastic milestone in the development of our windfarm, signalling the start of turbine installation,” Charlie Jordan, East Anglia ONE Project Director for ScottishPower Renewables, said. Following production at the GBP 160 million Green Port factory, the blades will be shipped down the coast to Great Yarmouth, where the turbine components will be pre-assembled following a GBP 5 million co-investment to prepare Peel Ports Great Yarmouth for construction and installation activities. This announcement follows ScottishPower Renewables’ GBP 25 million investment in the Port of Lowestoft with the construction of an operations and maintenance building. The base, at Associated British Ports’ Hamilton Dock, Lowestoft, will see 100 full-time employees manage the day-to-day operations and maintenance activities for East Anglia ONE.